I visited Kraków Poland for the first time with my daughter. We thought it would be ideal to have a self-guide in an app to use so we could go on our own schedule to visit sites, and not be limited by the schedule of a regular local guide. 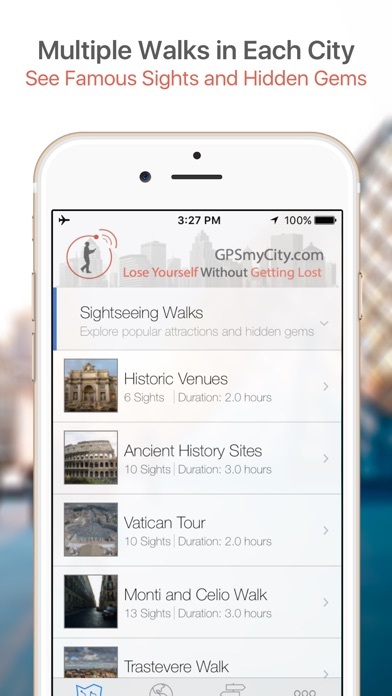 I found the GPSmyCity city app and set up a tour in several parts of the city. It worked wonderfully and we had a great day. It really allowed us to go to the sites, learn about them from the description in the app, but also stop in any little shop we found along the way. It has made me think that it is much easier to get to know a city. I am going to use it for my own city of Boston. I highly recommend it even if someone is going to work with a local guide. And I thought the cost to purchase all the data for a city was very reasonable for just 4.99. I did not have any ads to worry about and the app just worked great. 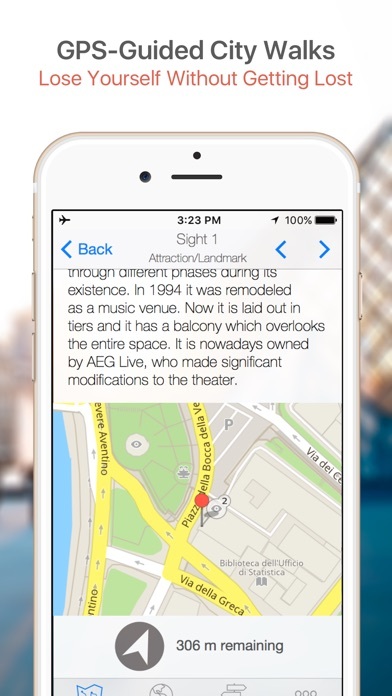 This app is a great way to see a new city or explore one you think you know well. I’ve learned so much! And, you can download the map so you’re not using data as you walk. I especially like the “must see” suggestions! I have lifetime access and have found this app to be very useful. Travel articles are a great read. Downloading of maps and city walks is straightforward. I have had to get customer service help and I have found them to be responsive and timely. I love this app, especially the create your own walks. It allows me to tailor a walk to our likes, plus it allows me to see the street by street directsions. Every time I opened the app, even after I upgraded to the paid version, I was notified that the app was out of date and required a 16 Mg update. That’s bad enough on wi-fi but an app killer when you are on the street and on cellular data. I am uninstalling this immediately. Really like this app. Have used during two 6 week cruises to Mediterranean/Aegean seas countries and to SE Asia/Japan, Korea, and China. I leave my phone in airplane mode to not have data charges. I can find my way around with this app. 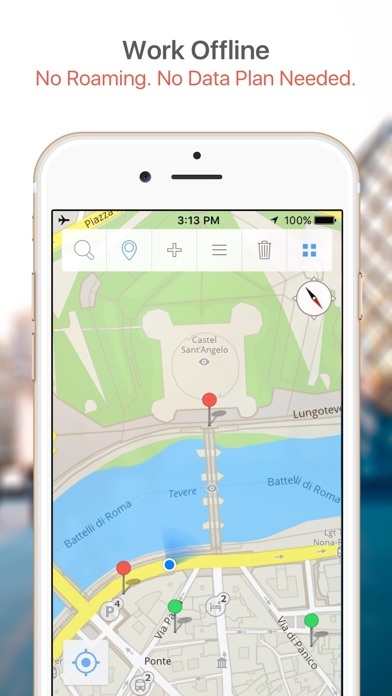 This app is one of many tools I use for travel planning and while on trips. I travel extensively and love GPSMyCity. My husband and I have been traveling for over a year and have been to 36 different countries. GPSmyCity has been our personal tour guide during a lot of our trip. It has been fantastic to tour different cities at our own pace and without the cost of hiring a tour guide. 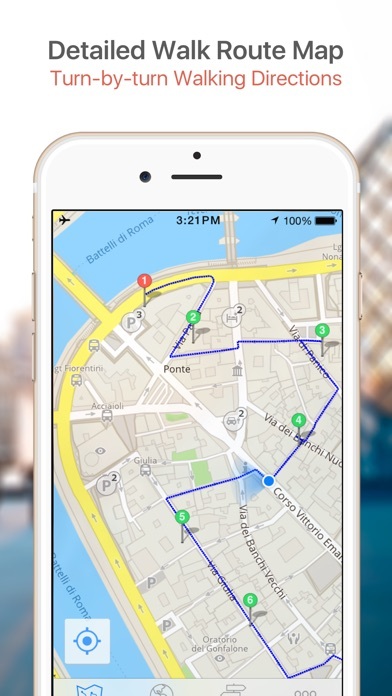 With the built-in walking maps with audio that can be downloaded and used without WiFi, it's easy to get around any city. I also love the different articles to find out about things to do before we arrive to a new destination. Can't imagine traveling without this app and have recommended it to many of my friends and people we meet along our travels. Want to read badly-written travel articles? This is your app! Want actual maps? Sorry, that costs extra. I have used this app many times when traveling to different countries. I generally review and download the articles in advance of the trip. Then.....when in the travel location I can click a "go there" link in the article and the GPS kicks in telling me how to get to a particular point of interest.